« What is The Aldera Protocol? I was told there would be some kind of gathering yesterday, the 22nd of Kelona (February), a gathering of Hutts on Nal Hutta to discuss business and see those who wished to do business with the Hutts. 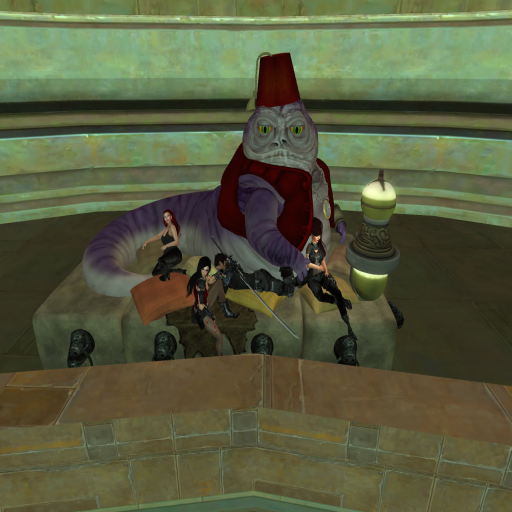 There was some confusion as to whether this was a Hutt Council meeting or something less formal. It turns out it was something less formal, dealing with business transactions only and not political matters or matters of law in Hutt space, purely business dealings. 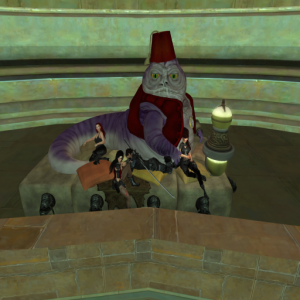 Of course, the Hutt Night the Basedii clan put on on the 30th of Elona (January) that was also supposed to be devoid of politics seemed to be nothing but politics, so I remain skeptical. This gathering that was supposed to have happened yesterday was to be a gathering of multiple Hutts, some Council Hutts, some not, even a huttling or two and was supposed to be a second attempt at creating a gathering of Hutts purely for the sake of business dealings. I suppose the idea was that, depending on what was offered, it might be the Hutts vying to do business with individuals approaching them as much as individuals vying for the attention of particular Hutts. It seems a nice enough idea. The gathering didn’t happen yesterday, however and was postponed to tentatively this coming Praxeumday (Saturday), but we’ll know more as we get closer to the weekend and we’ll keep readers apprised.